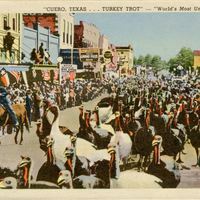 A postcard depicting the Turkey Trot parade in Cuero, Texas. Unlike other turkey trots, actually turkeys run the race in Cuero, rather than people. 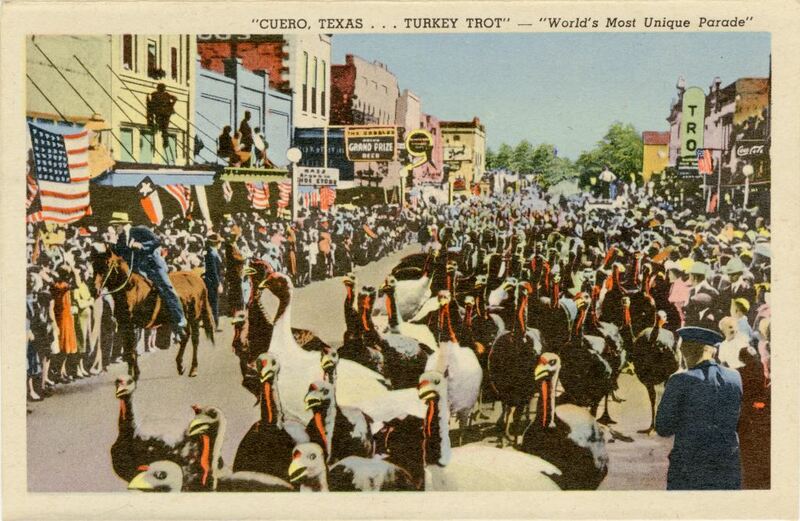 "CUERO'S TURKEY HISTORY." Cuero TurkeyFest. http://www.turkeyfest.org/p/about-us/147. “Turkey Trot Postcard.” RICHES of Central Florida accessed April 23, 2019, https://richesmi.cah.ucf.edu/omeka/items/show/6684.